SANTA CLARA, Calif., June 12, 2017 — Acalvio Technologies, an innovator in Advanced Threat Defense, will be participating at the Gartner Security & Risk Management Summit 2017, June 12-15, 2017, in National Harbor, Maryland. The Gartner Security & Risk Management Summit 2017 is the leading gathering of security, risk management and business continuity management leaders, delivering the insight required to guide organizations to a secure digital business future. Acalvio will be hosting a booth (#502) where security specialists will be available to discuss the benefits of Deception 2.0 technology. Acalvio’s flagship product, ShadowPlex™, is a comprehensive, distributed deception platform that provides early, accurate and cost-effective detection of malicious activity within the enterprise. ShadowPlex is built on Acalvio’s patented Deception 2.0 technology that leverages Data Science and Dynamic Deception. It represents a fundamental architectural advancement that delivers scale, automation and authenticity with low IT overhead. ShadowPlex is designed for flexible deployment on-premises, private clouds and public clouds. The platform has pre-built integration with major security information event management (SIEM) systems for delivering comprehensive threat intelligence. At the event, Rick Moy will present during the session, “ShadowPlex – Deception 2.0 and Advanced Threat Defense,” which takes place on Monday, June 12 at 6:30 p.m. (ET). During the theater session, Moy will provide attendees with insights into how Acalvio’s patented innovations make deception deployments easy, automated, effective and scalable. Gartner Security & Risk Management Summit attendees are invited to stop by the Acalvio booth #502 to learn how ShadowPlex alleviates inherent structural limitations of Deception 1.0 solutions and represents a quantum leap in architecture and innovation. For more information on Acalvio and ShadowPlex, please visit https://acalvio.com/ and follow the company on Twitter at @AcalvioTech and on LinkedIn. Join the event conversation on Twitter with the hashtag #GartnerSEC. Acalvio provides Advanced Threat Defense solutions to detect, engage and respond to malicious activity inside the perimeter. The solutions are anchored on patented innovations in Deception and Data Science. This enables a DevOps approach to deploying enterprise-scale pervasive deception, with zero-admin. 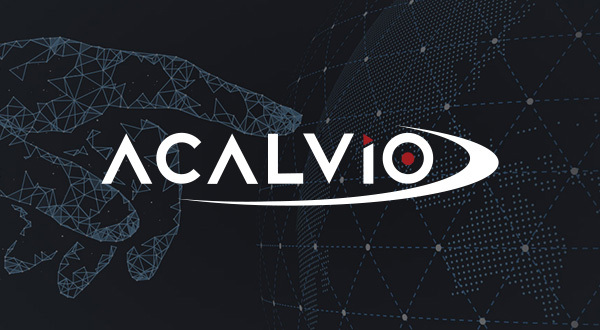 Acalvio enriches its threat intelligence by data obtained from internal and partner eco-systems, enabling customers to benefit from defense in depth; reduce false positives; and derive actionable intelligence for remediation. The Silicon Valley based company is led by an experienced team with a track record of innovation and market leadership and backed by marquee investors. For more information, please visit www.acalvio.com.